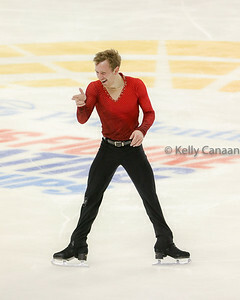 Photos from the men's free skate in San Jose, CA. PLEASE DO NOT REPRODUCE WITHOUT PERMISSION. 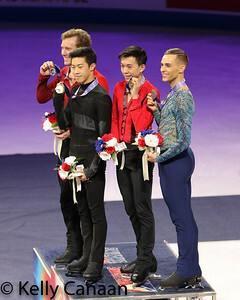 Adam Rippon may not have had his best performance in San Jose, but he had the support of the crowd and also of the USFSA, and he will be on his way to the Olympics. 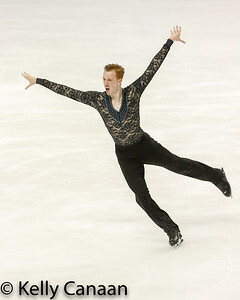 Jason Brown placed 6th this time around. 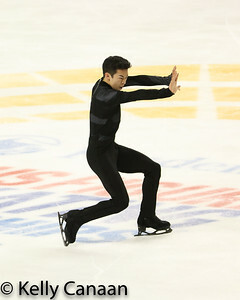 Nathan Chen landed five quads on his way to a gold medal, beating the 2nd-place finisher by 40 points. 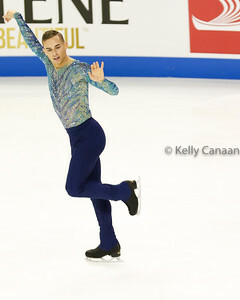 Adam Rippon skates his way to a 4th-place finish. After many attempts with many skaters, I finally got a good shot of a split jump. :-) Here's Sean Rabbit showing off his flexibility. 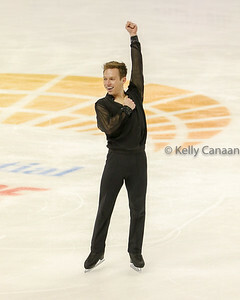 Grant Hochstein had a strong performance and finished 5th, earning a spot to the Four Continents Championships. No one has more fun at Nationals than Sean Rabbit! He finished 14th this time around. Ross Miner had the skate of his life, earning a well-deserved silver medal in San Jose. 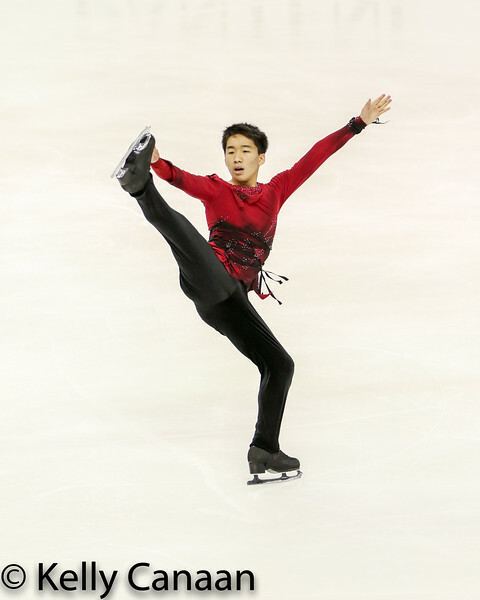 Tomoki Hiwatashi had a strong performance despite finishing 12th. 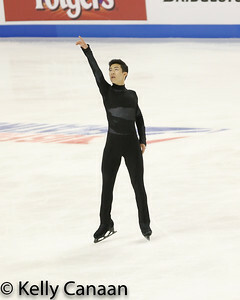 Vincent Zhou attempted five quads, and although they were not all successful, he earned a bronze medal and a trip to the Olympics. Jason Brown may not have earned a medal in San Jose, but he did probably receive the most stuffed animals of the night!